Martin’s speech is entitled “Hiring Under the Microscope: 5 Steps for Improving the Science of Selection,” and will focus on the process of choosing the best candidates for employment. The information presented will be valuable to any individual or business involved in employee hiring and retention. The event will be held Wednesday, February 8th at the U.S. Cellular Center Banquet Room. Breakfast will be served at 8 a.m. and the program begins at 9. WNC HRA membership isn’t required to attend, but online pre-registration is encouraged and can be completed at www.wnchra.org. Also featured at the February meeting, the WNC HRA will be donating a portion of the proceeds from keynote speaker ticket sales at the 2016 NC Society of Human Resource Management Conference (NCSHRM) to four area non-profits. In all, the WNC HRA raised approximately $2,500 for the benefitting organizations: Eblen Charities, Green Opportunities, Leadership Asheville, and the WNC Diversity Engagement Coalition. Representatives from each group have been invited to attend the meeting on the 8th. An affiliated Chapter of the Society of Human Resource Management (SHRM). The members of chapter #0570 have joined together since 1955 to share ideas and best practices within the region that promote a productive, healthy, and happy workforce. 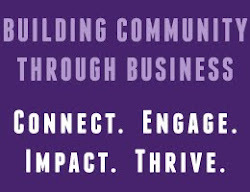 The mission of the WNC Human Resource Association is to provide each member with knowledge, connections, and tools to reach their fullest strategic and leadership potential as individuals and professionals.